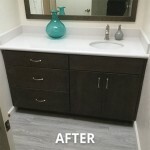 In this Scottsdale Bathroom Remodel, New countertops, cabinetry and fixtures are like a breath of fresh air for the bath. 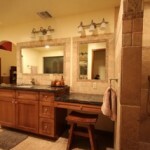 Cook Remodeling can make suggestions for transforming your bathroom. Many homeowners are exchanging little-used bathtubs for gorgeous, large walk-in showers with luxurious shower heads and a body dryer, wonderfully enhancing how they start each morning! 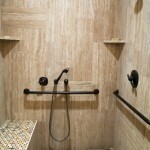 Whether you have a Scottsdale Bathroom remodel, or another part of town, call Cook Remodeling for an estimate. We get the best reviews!